For beginners, choosing the right Golf Club set is often a challenge ? There are millions of Golfers worldwide and thousands of people joining the sport on a daily basis. With world renowned athletes such a Rory Mclroy and Dustin Johnson the game is only likely to get bigger in the coming years. Quest for picking up the ideal set of golf Clubs, often lead to an overwhelming range of options available in the market; this is because not only are you new to the sport but probably aren’t 100% sure which of the major brands is the best, what features to look out for in a club. A quick read to understand what you need to know about making a choice for best golf cubs as a high handicapper. Callaway is a world renowned Golfing brand and has always prided themselves on creating high-quality and affordable Clubs. The Strata Ultimate definitely lives up to this and provides newcomers with more than enough equipment to improve their skills and enjoy the game. All of the clubs included are ideal for beginners and shouldn’t be underestimated. However, we wouldn’t recommend this set to experienced Golf players as they may find it takes some of the challenges away from their game. Another amazing Set that is again brought to us by Callaway, as you saw earlier the 18-piece set is one of the best golf club brands you will be able to find on the market today and shouldn’t be underestimated. 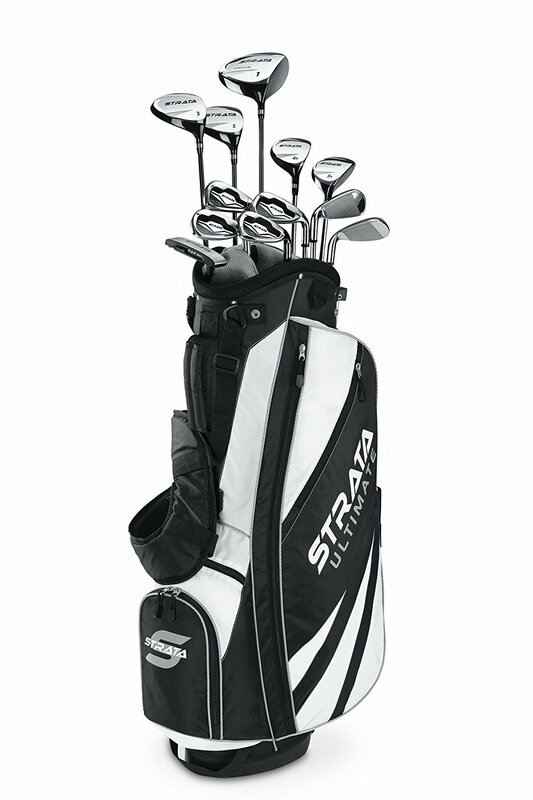 However, the 12-piece set is also a great Bag and is perfect for anybody who is just getting into Golf. Although we would always recommend that you purchase the 18-piece set the 12-piece is definitely a good alternative and still gives you more value for your money than buying individual Clubs. Nextt golf Men’s Pro Score N Elite 17-piece set claims to be the key to unlocking every newcomer to Golfs full potential. This has been made for Right handed orientation and is a truly amazing set which will see beginners improve their skills massively as well as educate themselves on the different type of club and how they’re all used. Many people forget how difficult it was to learn all of the different clubs, rules, pieces of equipment etc that are needed to play a successful game of golf. You will see your confidence grown massively in no time if you decide to pick the Pro Score N Elite Set of Clubs. 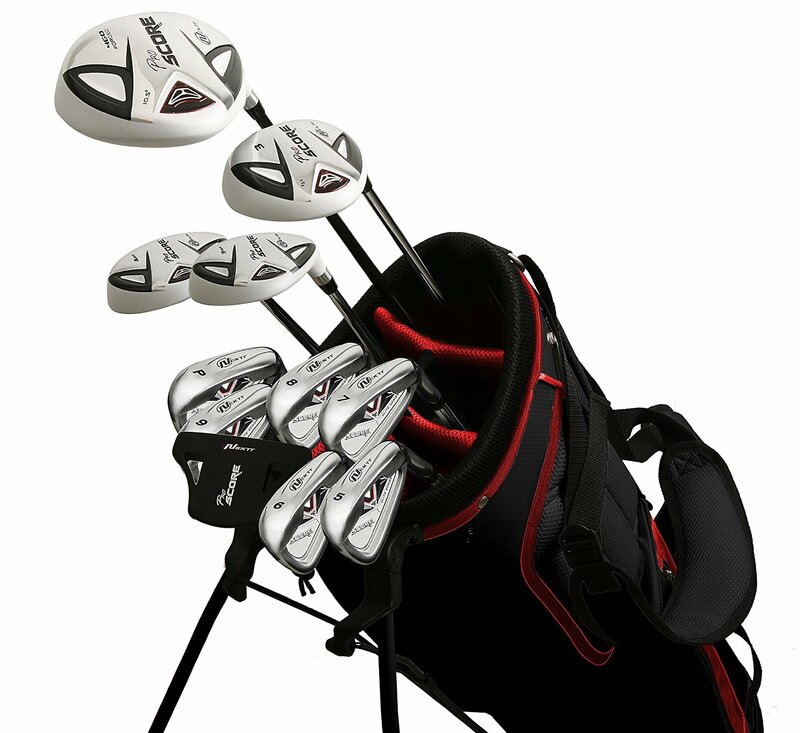 Stuck With The Choice of Ideal Golf Clubs For Learners? When you decide that you want to get into Golf, there are a couple of things you need to do. First up find a place that you can play in your local area. Second, what are the best golf clubs? then find a collection of clubs that won’t leave your bank account empty. 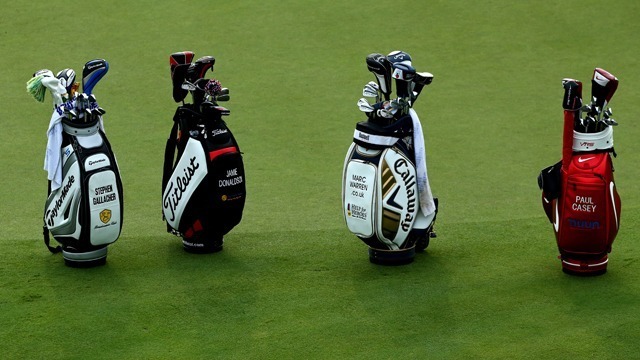 It can be extremely difficult to pick a set of clubs when there are so many different options out there. There are a couple of major things that you should look out for when you are going to purchase one of these collections. For example, your price range is one of the key factors in deciding which club Collection is right for you as you may not be able to afford the best on the market! Well if you’ve just started to get into the game of Golf then you probably won’t know much about Clubs or what they’re all used for. There are many different types of the golf club and these include Drivers, Putters, Irons, Hybrids and Fairway Woods. We have gone over each of the different type of club below and where they would be used in a game of golf. Although you will need to know the basics you don’t need to be an expert on each different club type before purchasing a set. A Driver is the first of all the Woods and probably the best club for your opening shot. Drivers normally have a large face and Sweet Spot which is ideal for smashing the ball as far as you can down the green. We will go into more detail about Woods below. So the last type of Club on our list is, in fact, the putter. This club is used for the final or final couple of shots when you’re getting close the hole. Many people forget just how important having a well-balanced and accurate putter can be and only realize the impact it had when it’s taken away. One category of Clubs is the Woods. These are all large faced, usually hollow Clubs that include the driver and Fairway Woods ideal for long shots because of the size of their face and length of the club. This will allow users to get an effective swing and can make sure the ball hits the right part of the club. Woods are a key part of every Golf Enthusiasts collection and a very important factor when trying to hit those long and accurate shots throughout a game. Although a Wedge is technically classed as an Iron they do really deserve a category of their own. There are 4 types of Wedge and these are Pitching Wedges, Gap Wedges, Sand Wedges and Lob Wedges. Each of these club faces is angled in a way which allows the club the get under the ball and delivers a massive amount of height to each shot. This can be helpful in many different situations; especially if you get stuck behind something or in a Sand Pit. Probably the most used club altogether throughout a session of Golf; Irons. They usually come in numbered sets (from the 3-iron to the 9-iron) and have a way smaller head than the Woods. Top rated golf irons also include Wedges (many Golfers put Wedges into a completely separate category). Wedges are used to get those chip/high shots from the long patches of Grass or Bunkers and really come in handy throughout a game. Whereas Irons are normally used on the fairway, their solid head and etched grooves will help the ball spin as it flies down the course. As the number of the iron increases the loft will also increase! Hybrid clubs are pretty new on the scene and have only become popular in the Golfing world in the past decade. The club is pretty much a mixture between a Wood and Iron, this is obvious by the design of the Clubhead in itself. Hybrids golf club reviews says that they are numbered in a similar way to Irons, this is kind of a way to identify which iron this would have been before it was turned into a Hybrid; and will give you a very good idea of when it should be used In the game. If you’re on a smaller budget than a couple of Hybrids could be a great way to save on buying multiple sets of Irons and Woods! Individual Golf Clubs Or A Complete Golf Club Set? Although that is a decision which you will have to make yourself, in the end, we would always recommend purchasing a collection of Clubs if you are a newcomer to Golf. There are two major reasons for this the first of which being the fact it will more than likely save you a lot of money. When you purchase a collection of clubs it will pretty much always be cheaper than if you bought each club that’s in the collection individually. However, you may have seen a club that you love that isn’t in the collection so you might want to buy yours separately. It is also much easier to buy a collection of clubs rather than do individual research on each Iron, Putter, etc! Knowing what you plan to achieve before going out and purchasing a set of clubs lets you have an insight about your frequency of play and the skill lever you want to reach. Knowing that you will be playing golf quite a lot once make sure you pick a set that is durable and won’t need replacing for a while! Also, your skill level will improve massively if you become a regular player, so if this is going to be the case make sure you pick a set which you can grow into, instead of growing out of! Obviously skill level is a massive factor in the club or set of clubs that you are deciding to purchase. There are many clubs that simply won’t allow you to improve your skills past a certain point. This is okay if you have literally never played before. Although if you still class yourself as a beginner but have actually played a few times and know the basics you may want to get a more advanced set which will allow you to constantly improve upon your skill. Beginner- Obviously the amount of Golf that you’ve played in the past will massively effect which set you are going to buy. Although most collections of clubs are for beginners there are some other options. If you’re new to golf then you’ve come to the right place with this buyers guide. Make sure you buy a set which will work for you and allow you to improve with it. Although it may be tempting the cheapest offer may not always be the best; with a bit of extra research and searching you will be able to find a Bag which comes with everything you will need at a reasonable price. Intermediate- If you aren’t exactly new to Golf and know the basics have played a few rounds etc then you may want to look at some of the more advanced collections. Otherwise, you may find yourself stuck with a set that doesn’t let you improve on your current skill level. Don’t think that just because you are buying a set of clubs you have to pick one which is for beginners. There are plenty of options out there and more than enough for more experienced players, it might just be a bit more pricey. When you are purchasing Golf clubs, some golfers like to add a personal touch to it by adding customization. For example, many Clubs will allow you to use a Grip kit so that you can change the grip to one which suits your playing style. There are also many clubs which will let you add weights in different areas around the club to improve your swing process and accuracy. Make sure you are picking a club with the customization features you desire. But that’s something which is not required at the beginner level, it’s over that you learn about your custom requirements. If you’re a really tall person you may find it difficult to find clubs that are long enough to allow you to make comfortable shots. Nobody wants to be struggling while trying to get that perfect hit. Certain clubs have been specifically designed for tall people and will have a massive impact on your game. Same applies to people that aren’t as tall either. Short people will need a Club with a shorter shaft and larger club faces in most cases. Not only does this make the club shorter but also ensures the weight balance is correct. Size and Texture- Your grip is probably one of the most important things on the whole club. You will always be holding the grip and this will allow you to change up your swing technique. Some clubs simply don’t have comfortable grips, and after a couple of shots, your hands may start to feel sore. This could lead to blisters, dry skin, and many other problems. So make sure when you’re picking a set you keep Grips in mind. Most clubs will allow you to use a Grip Kit and personalize the grips to suit your style of play. Weather conditions- Golfers often get affected by the weather. Make sure you pick a club which has an effective grip, one which is waterproof in case you get caught in a shower. One which is comfortable and one which won’t get too hot if it’s a sunny day. Nobody wants their hands to be burning whilst they’re going for that all important shot! Graphite- Recently Graphite shafts have massively improved in popularity and that is for one simple reason, they’re lighter. Many people find that their arms are aching when they come off of the course; with the help of a graphite shafted Club, this problem should be eliminated. Steel Shafts are much heavier and can cause certain players issues throughout the swing process, you should notice a difference in your play when using a club with a graphite shaft. Steel- Although graphite is much lighter, Steel shafts are still used in many of the top end Clubs around the world. Obviously, Steel is heavier, but this isn’t a problem for all players and is even classed as a benefit by some. IF you’re used to using a heavy club and have never had an issue with it then you should be fine and you will be able to put more power into every shot. Well, when picking a club you may take a look at the materials used in the construction of the head, 90% of all clubs are made with Cast Iron. This is where there is a mold that has been pre-made for the club and they pour molten metal into it. Much easier than trying to produce lots of forged Iron clubs. Although many people claim that former Iron clubs are nicer to play with they simply don’t last long enough for most Golfers, and need replacing far too often. It is a choice that you will have to make yourself although we would definitely recommend purchasing a Cast Iron Club as it will last longer and therefore save you a lot of money in buying replacements. This is a decision which in the end you will have to make yourself, although we can give you a couple of reasons why you should and shouldn’t buy either used or new clubs. If you’re on a small budget then used clubs will look very appealing; they are pretty much guaranteed to be cheaper than brand new ones. But that doesn’t necessarily mean they won’t cost you more in the long run. The problem with used clubs is you will have to buy replacements a lot quicker than if you were to just buy the new. Within a matter of weeks/months, you may be forced into buying more clubs, so it might be a better idea to just buy brand new, durable clubs in the first place! What should be one of the main factors when you purchase any product, not just Golf clubs and that is build quality. Nobody wants to purchase a Club that’s going to fall apart after the first hit. Ensuring you have a well built and reliable Golf club will eliminate this risk. As long as you pick a club that has been made by a respected brand you should be fine. If the build quality is poorer than you expected or something goes wrong with the club after a couple of uses then you will normally be in line for a refund. When swinging your club you want to feel in control of its movement and speed at all times, all of the different factors combine to give you the ultimate amount of control. This will massively improve your game as you will be more confident in not only your technique and performance but the Clubs. Obviously, the performance is key, for example, certain clubs that have a grooved face will completely destroy a ball every couple of shots. This is not a performance trait you should look for in a club you would instead want a piece which adds the ultimate amount of spin, height, accuracy or any other factor. Two more very important things to take into consideration when picking a Club. The design will have a massive impact on the overall performance of your club as it will decide a lot of the features. When designing a golf club you will have to decide what it will be made of, its shape, what features to include and much more. As for the appearance that is down to personal preference. But make sure you pick a club that you like the look of, otherwise you could find yourself staring at other players clubs in despair as they swing for the ball. No matter what your buying you will always want to get good value for your money. 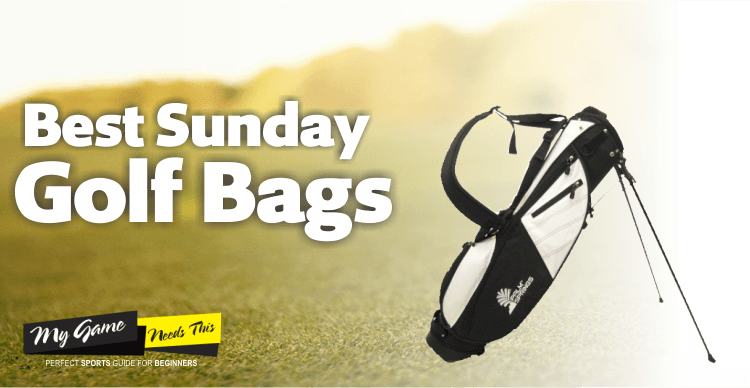 With Golf clubs, it is easy to overpay for them as different sites sell clubs at different prices, and it is often hard to tell the difference between different models if you are a newcomer to Golf. When looking for a collection of clubs make sure you are looking and the highest rated and most popular options and you should be okay. 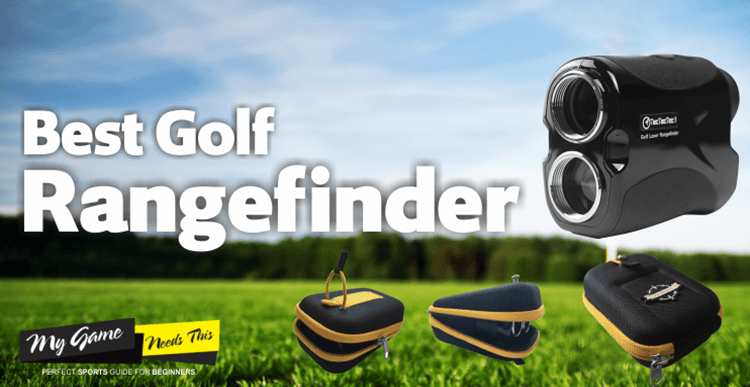 We have made a list of the best Golf assets for beginners which is the fastest and most effective way to find out which set suits you. When it comes to finding the perfect golf clubs is tedious job, however a little research, a quality advise coupled with demo practice can do the trick for you. As many people having different preferences when it comes to their club, whether it’s design and appearance or the overall weight, having the right club can massively improve your game as a novice. Better Golf Swing: Having a good swing is not always just about the technique, many believe that it comes down to the club performance also. With brand new golfers unaware of this, but there is a simple solution that can be undertaken. By selecting a golf club that is geared towards higher-handicaps, it will allow them to make a good start. Choosing the right golf irons which are weighted and cavity backed is a good idea. Getting a driver that has more loft than less, will help with hitting the ball as well as allowing you to give more practice to your swing. Enhanced Affinity: It is essential that beginners do not put their preferences for a club into what all the professional touring players are using. Instead, they should be focusing on clubs which have a lower center of gravity and high moments of inertia. If a beginner is stuck for information it may be a good idea to seek professional advice, they will choose out a club to fit your skill level resulting in better affinity with your game. Better Training Results: Working out the amount of time you are going to commit can help you decide the complete golf club set which is right for you. If you imagine yourself being down at the golf club every day and are looking to improve your game over a quick period of time, then this will mean that you will be wanting to spend a higher amount on your clubs as they will be used more often and will be put under more strain. Greater Depth in Game: Another great benefit of finding your perfect club set is that it will build the foundations of your game. Once you get used to how the clubs handle and the technique required to get the perfect swing, when it comes to upgrading to a higher end club, you will be able to get used to them much quicker and will have the technique greatly improved. More Understanding: Selecting a good golf club set coupled with subsequent better training results will help you grow in confidence and better bonding with your golfing partners as well as fellow players. You’ll experience an increased bonhomie on the course and more engagement on equipment discussion. Choosing the right golf set that will match your playing style can be difficult, but a focused and considerate approach will work wonders for you to chose one. One of the most popular brands in the Golfing world, Callaway, have been producing high-quality equipment from clubs to covers since 1982. They sell their products in more than 70 countries and are always coming up with new, revolutionary ideas for Clubs and other equipment. They also own the Odyssey Putter brand, so if there’s an Odyssey putter in with your collection then you should be pretty happy. Callaway is definitely a brand you should be looking out for, although most of their clubs and sets of clubs are quite expensive you are guaranteed quality. A company with a truly amazing story TaylorMade are one of the largest Golf equipment companies in the US and it wasn’t easy for them to get there! In 1979 a Golf Equipment salesman named Garry Adams took a loan out on his home, with the $24,000 he got he founded TaylorMade. Now they are a multi-million-pound company whose products are used by some of the best golfers in the world. Again this is a good name to look out for when you’re going to get your first club set. A really popular brand for serious golf players that will probably be out of most newcomers price range. Titleist was founded all the way back in 1932 and has since become one of the top manufacturers of both Golf Clubs and Balls. Most of their clubs are put out under the Scotty Cameron brand although that doesn’t stop them from being high-quality, well build irons, Woods, and Putters. Well this is the first brand on our list that also makes equipment for other sports. Wilson is one of the biggest names in not only the Golfing world but the Sporting world as a whole. They produce equipment for many different sports these include Baseball, Badminton, Basketball, Football, Tennis and much more. 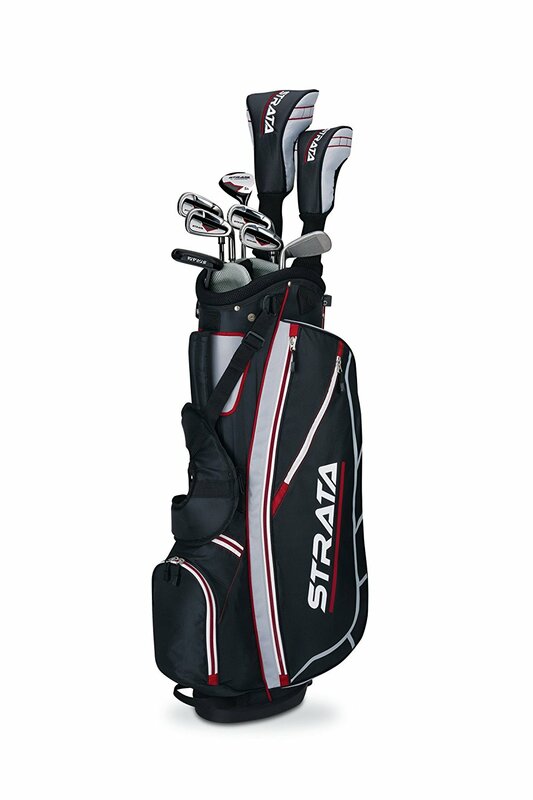 They have some amazing Golf sets and always offer great value for money in their products. They are also the oldest company on our list, they were founded in 1913 as the Ashland Manufacturing company and now bring in a net income of a round a billion dollars. 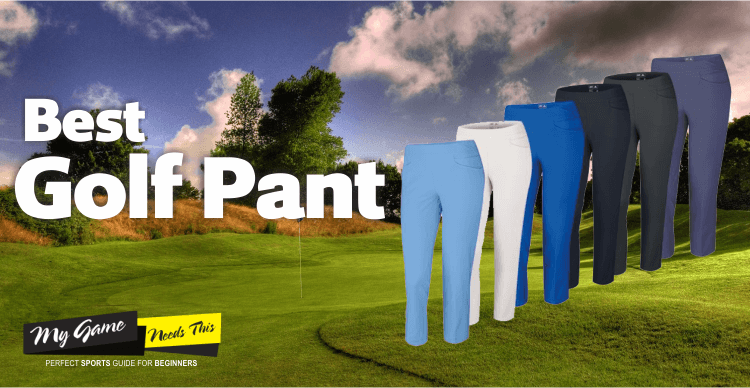 The fifth company on our list, Nextt Golf burst into the Golfing world in 2004 and have established themselves as a major name since then. 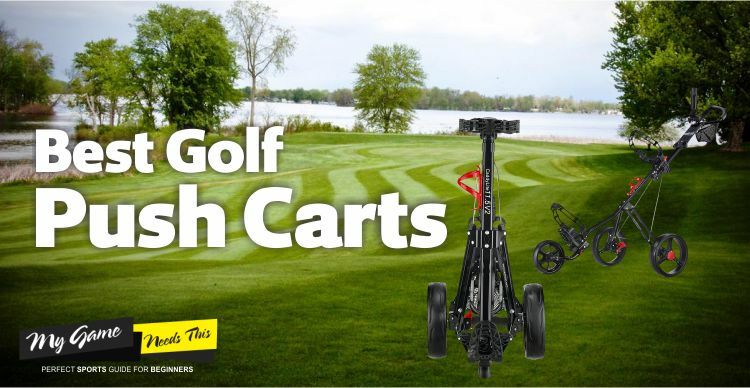 They claim to produce golfing equipment mainly aimed towards beginner players. When you look at their clubs and sets of clubs it is obvious that they have stuck to this belief and created some really good value for money, reliable and durable Clubs. If you’re new to Golf and are looking for a set of clubs then Nextt golf would be a good place to start. A Company that was recently created by Callaway and specialize in Putters. Well if you’re a beginner and always have trouble getting the needed accuracy on that final shot then Odyssey have you covered. Picking the best golf clubs or golf club sets can be an extremely difficult decision. Especially when you’re new to golf and don’t have a clue what makes a good-quality club. 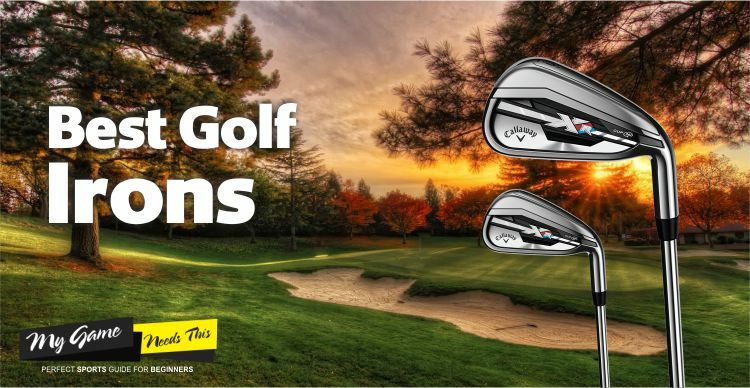 After reading this in-depth golf club reviews & buyers guide you should now feel confident in your ability to go and pick the right golf club sets for you! There are loads of options out there but we have already gone over all of them and come up with an easy to read and in detail review of each. 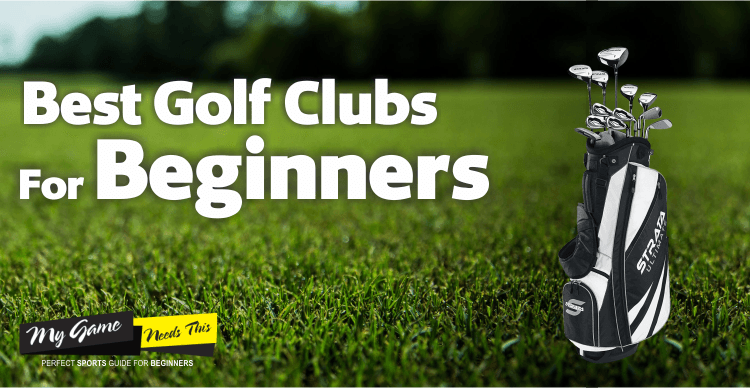 Instead of spending hours going over online ratings, different products, checking information on all of the different companies and much more boring research; why not check out our best golf clubs for beginners guide.